If you like Polaroid photos, you will probably like the idea of some Polaframes on your fridge. It is a rather simple, but effective idea. 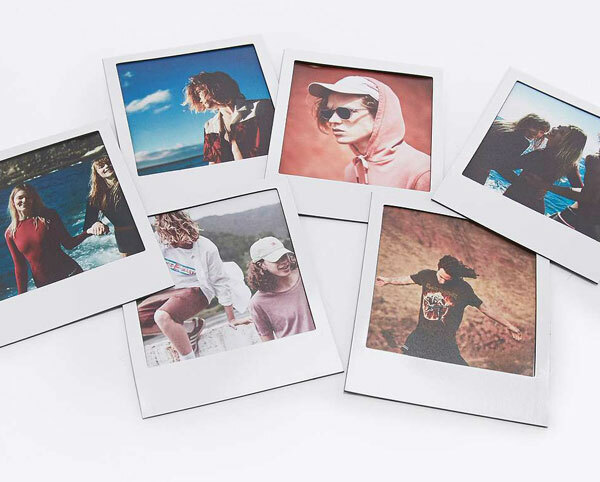 A set of six magnetic frames to house photos, each designed to look like a Polaroid photos and with the added bonus of being able to be written on. The included erasable marker has that covered time and again. You can get a set in standard white or you can go for a set in gold. As for price, that’s from £18. Note that there is free standard delivery today at Urban Outfitters, see the site for a code.